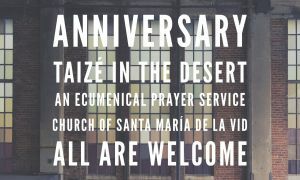 Taizé in the Desert – 7-Year Anniversary! 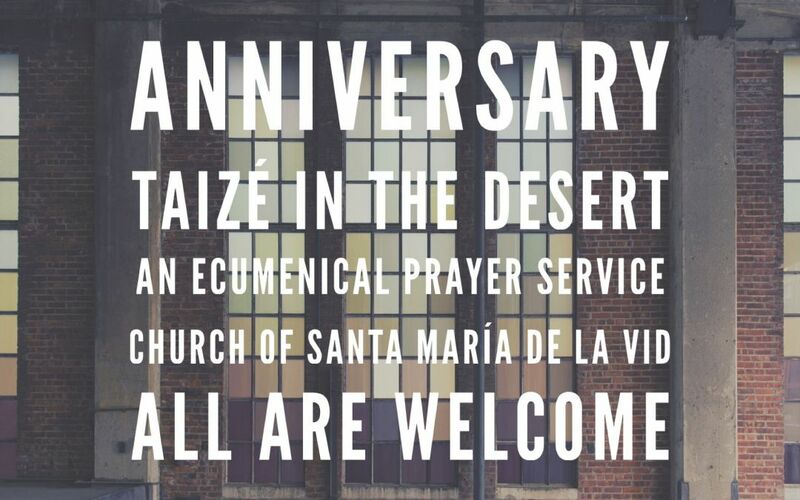 We are so excited to celebrate the 7-Year Anniversary of Taizé in the Desert in the Archdiocese of Santa Fe and hope you will join us in prayer and celebration! Following the service we will have refreshments in the Our Lady of Guadalupe Commons! Leave the noise of modern life behind for an evening of prayer at Santa Maria de la Vid Abbey (5825 Coors Blvd. SW, Albuquerque, NM 87121)! Build your relationship with Jesus Christ through song, scripture, silence and contemplation with other young adults of the Archdiocese! Attend the next prayer service in the spirit of Taizé, a French monastic community. This is an ecumenical and interdenominational form of prayer. Taizé is a spirituality that is easy to experience and hard to describe. Invite your friends and family.